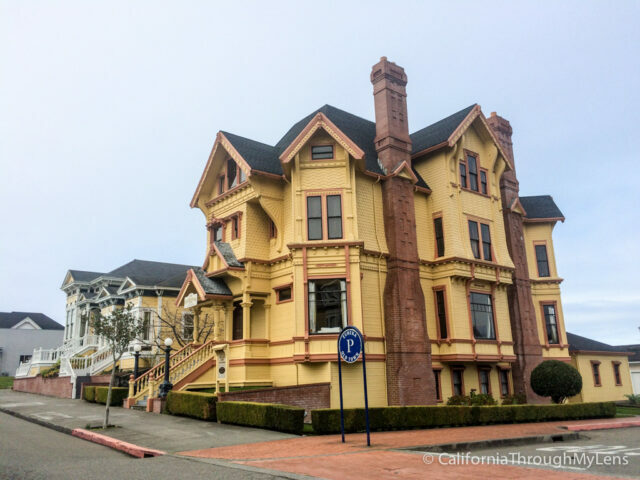 This is part of my Pacific Coast Highway stops blog, find the previous day from San Francisco to Mendocino here and Eureka to Crescent City here. Today started early as we wanted to have the most light for our time in the Avenue of the Giants. This drive itself is a beautiful combination of coastal views in the beginning and forest at the end. Here are the places we stopped at on this day. 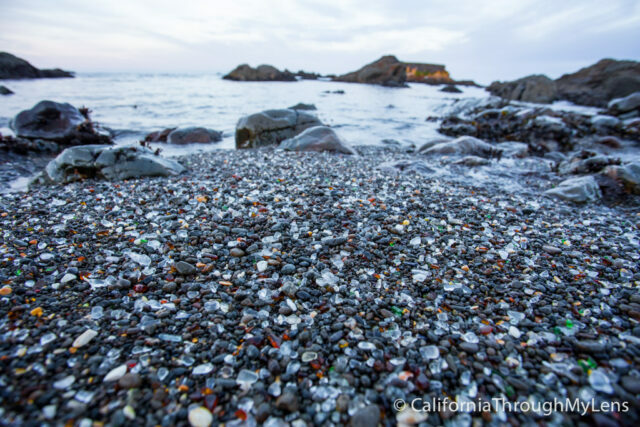 Glass Beach is one of the most popular places in Fort Bragg, so I headed down for sunrise. I had the whole beach to myself and explored what remains of the glass that washes up on the shore. It was beautiful, and I recommend going when no one else is there like at sunrise. I love bridges, so I drove 100 feet down the road from where you park for Glass Beach to the parking lot for the Pudding Creek Trestle. 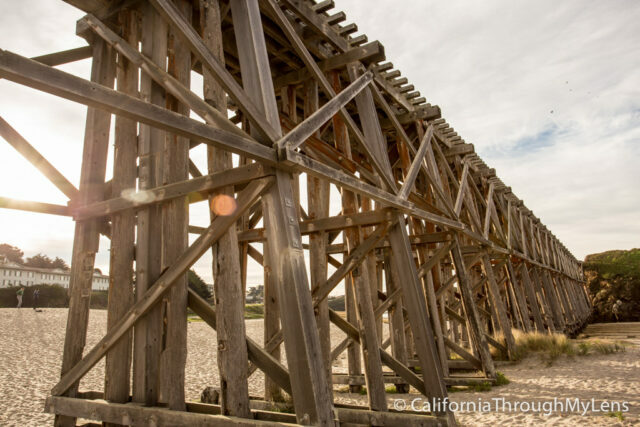 This fantastic old wooden trestle bridge has been meticulously preserved and is a great place to take pictures. I recommend walking across it then scampering down to the beach below where you can get better angles of it. 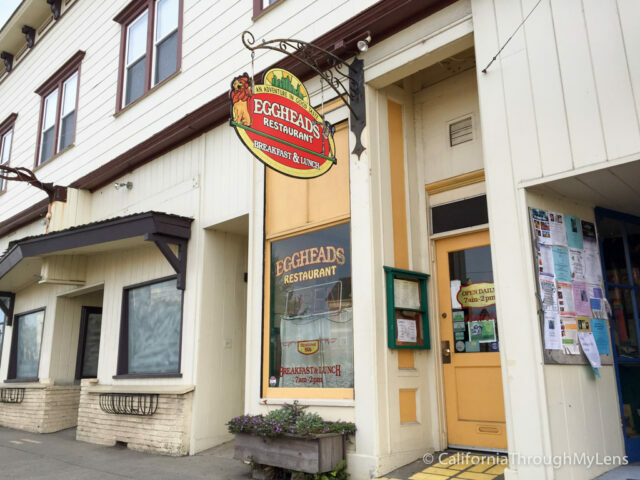 Eggheads is a great breakfast spot in Fort Bragg that is designed with a Wizard of Oz theme. It is a lot of fun and has great food, but it can get crowded. If you want a more homestyle diner, then David’s is also a great local place for a home-cooked meal. I like both of them, and neither will steer you wrong. From here the road hugs the coastline and heads through a few small towns before an incredibly majestic finish over some of the most beautiful California coastlines I have ever seen. There are a few spots for a turnout here, and you will want to take them. 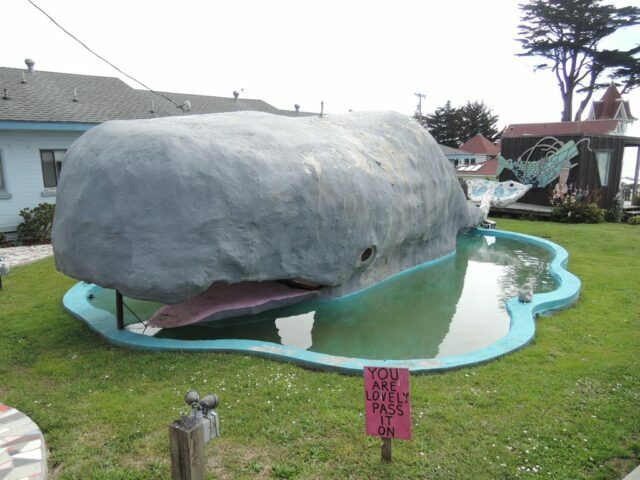 The Westport Whale is a large concrete sculpture that is over 30 feet in length. Sometimes it even shoots water out of its spout if you go at the right time, and it is a fun, quick roadside stop. 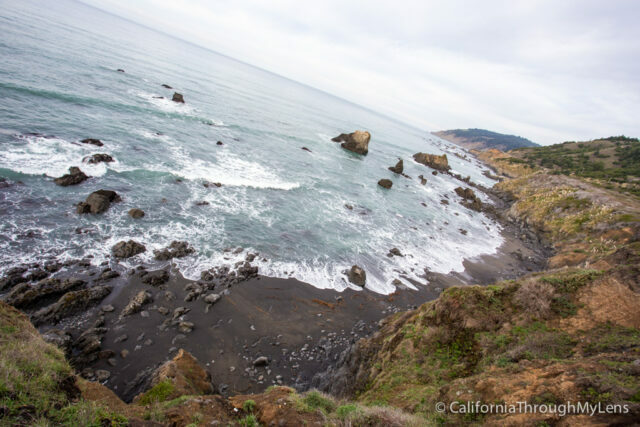 After the small town of Westport, there is a vista point that will overlook a black sand beach. You really should pull out as the beach below is fantastic and worth the stop. 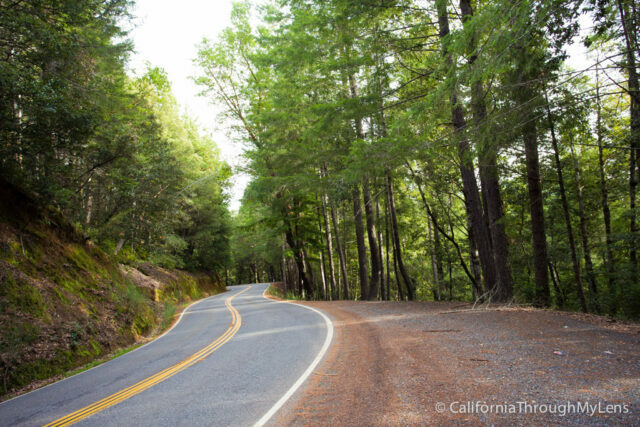 From there the long and windy road will take you inland through the forest, and you will get your first taste of the coastal redwoods. This area can be slow going, but it is an incredible drive that is stunning. 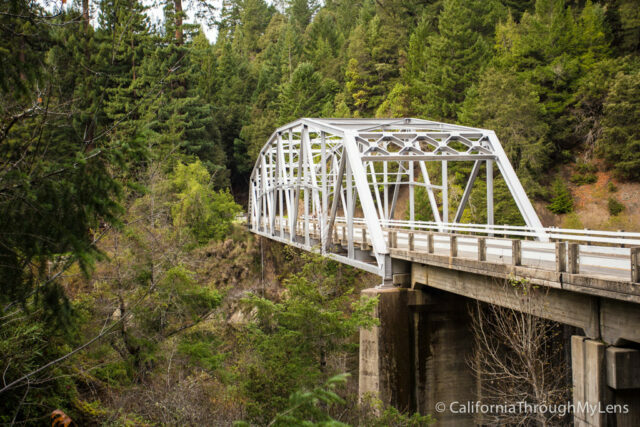 I am not sure what this bridge is called, but I love bridges and this old one in the heart of the forest was amazing. 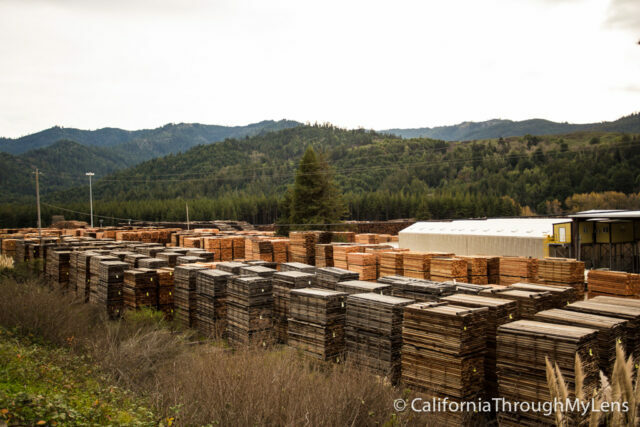 It crossed over the South Fork of the Eel River. Let me know what it is called in the comments. 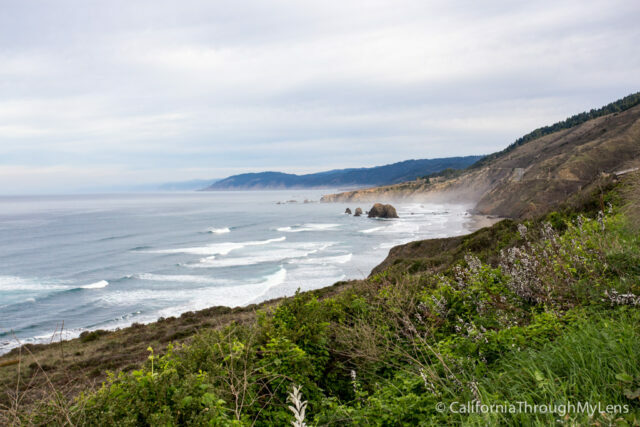 When you finally reach Highway 101, you will want to take a Highway 1 end picture as you are now on Highway 101. 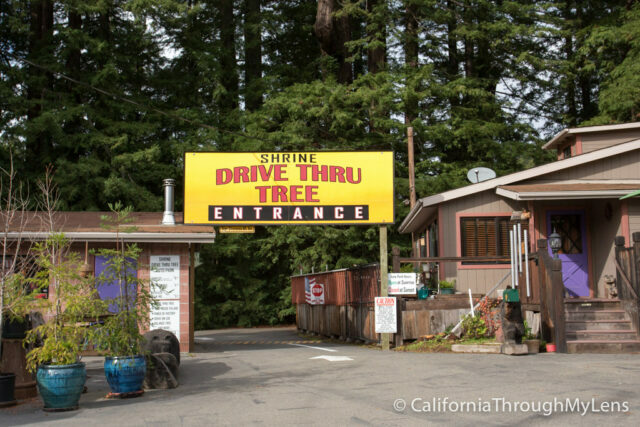 This is also one of the two drive-thru trees you will see today. The drive-thru portion of this tree is around 7′ x 6′. 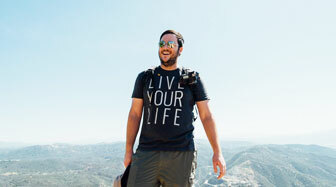 If you are into it then this is a good one to do, it is my second favorite but also the busiest. Read more about it here. 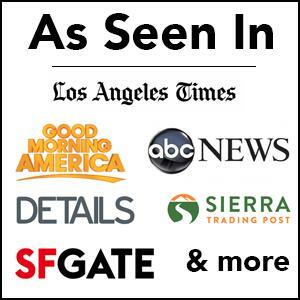 If you were just driving Pacific Coast Highway, then this is your turn around point. It is about 4 hours back to San Francisco from here so plan accordingly. If you want to continue, then keep reading. Don’t worry, you will not miss Confusion Hill as there are a lot of signs leading up to it. 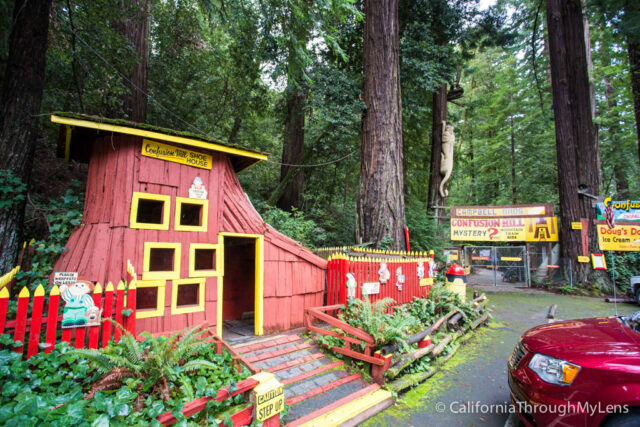 It is a great stop, and for 5 dollars you can explore the gravity house that has all sorts of crazy attractions almost identical to the Mystery Spot in Santa Cruz. In the parking lot of this stop are the shoe house and the world’s largest chainsaw carved totem pole. Yep, it has a little bit of everything. A few miles down the road you will see the One Log House and the Grandfather Tree off the side of the road. 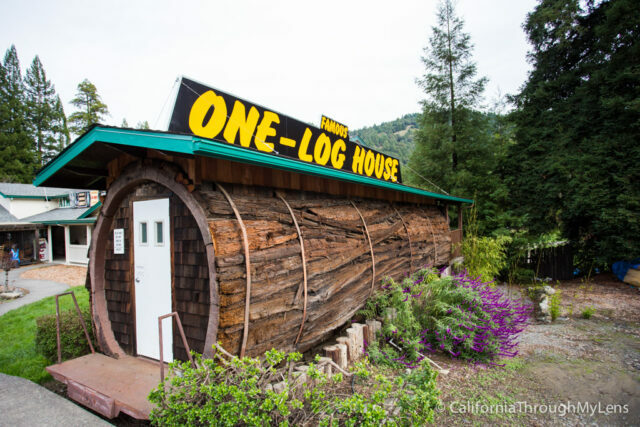 Another quick stop where you can see a house made out of one large log for only $1. There is a gift shop here as well. Right next to it is the grandfather tree which was closed when I went so I am not sure what it is. 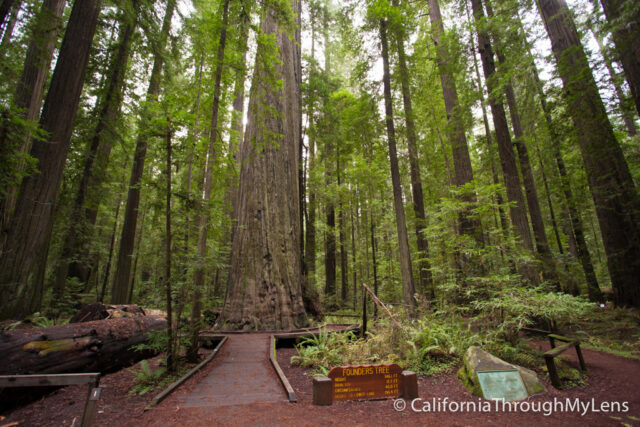 The next stop is the beautiful Richardson Grove State Park. 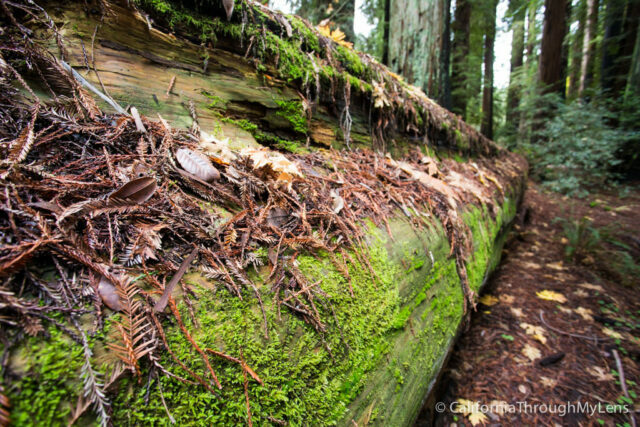 This park has a nature trail that will lead you through a fantastic section of redwoods. It is an easy trail that is suitable for the whole family, and it is especially beautiful in the fall when some of the other trees leaves are changing. It does cost to get into the park though. 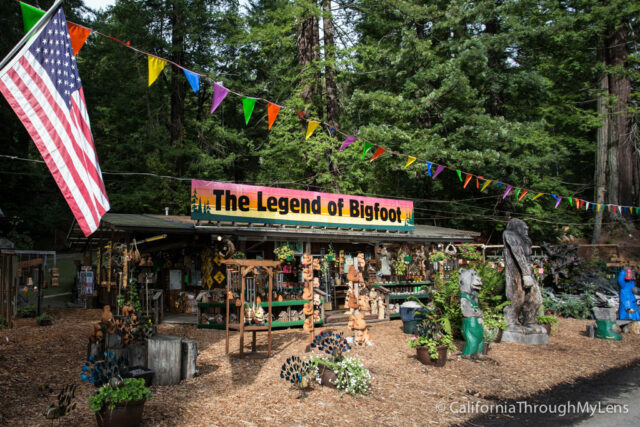 A few miles down the road when coming around a bend, you will see the Legend of Big Foot Shop. This is a great place to buy wood-carved sculptures and trinkets as they have reasonable prices and cool stuff. They also have a few fun statues for the kids to play on and a bathroom as well. This 31 mile stretch of road could be seen in an entire day by itself, as it is one of the best drives in California. If you are pressed for time, I recommend getting off near Myers Ave and starting there as there are a lot of amazing groves near that exit. 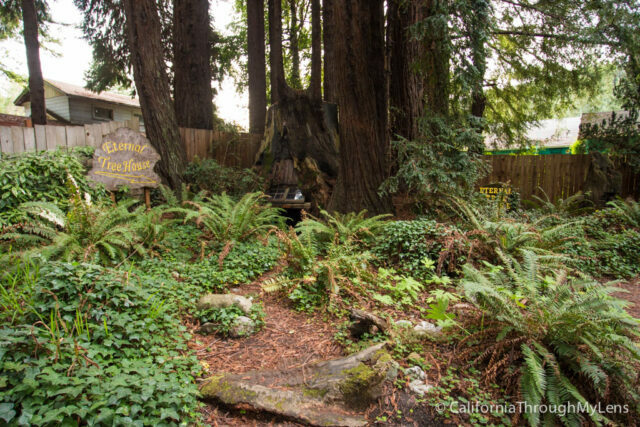 Read this post for what to do on the Avenue of the Giants, but if you can only go to one place then make it the Founders Grove. This is the second drive-thru tree of the day, and it is right near Myers Avenue. I liked this one as it was 6 dollars to drive through but had a lot of other fun stuff for kids. They had a “walk thru tree” for children, a drive up log and tree houses to play in. Well worth the $6 to keep the kids happy. 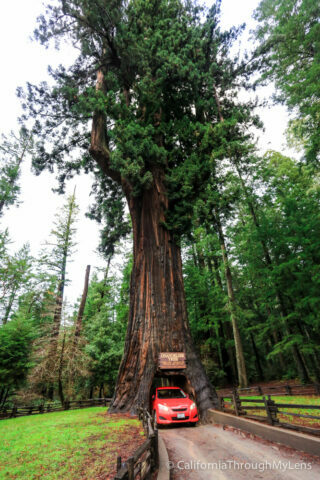 This tree is around 7′ x 7′ and is generally suitable for bigger cars. I love good cheese, and this is the place for it. This cheese shop has a little bit of everything, and it is a fun place to buy a snack or a gift for the family. They have a ton of samples that you can partake in as well! There are a lot of dinner options in Eureka but here are some of my favorites. Carter House Inn is a great place to eat if you are looking for a more expensive dining experience. Bless My Soul Cafe is an excellent food that is very down to earth, and Sirens Song Tavern is good pub atmosphere, food, and drinks. There are a lot of historic hotels here. If you are looking for a good cheap option, the Days Inn is nice and is close to downtown. Carter House is also a nice place to stay if you want the most historic feel. Thanks for reading and let me know what spots I left off in the comments. 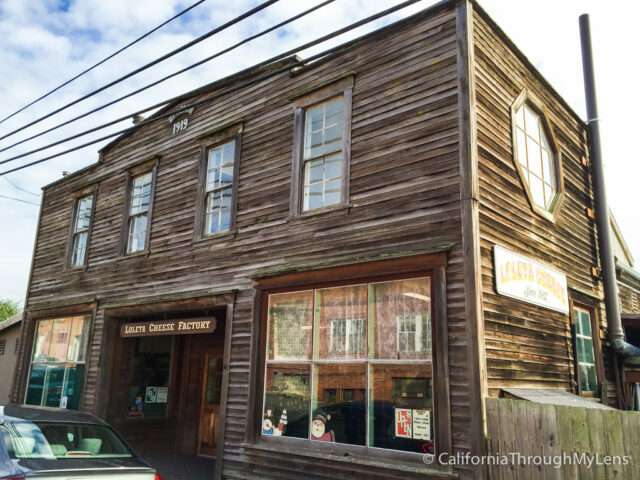 You can read the next post in this series on Eureka to Crescent City.